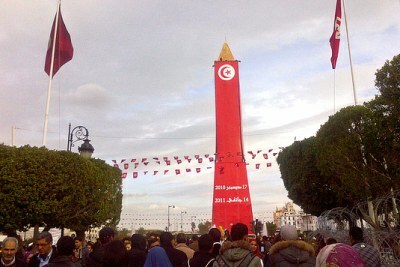 As the country commemorates the eighth anniversary of an uprising which saw revolution spread across the Arab world, the families of those who sacrificed and died for change have been ignored by the government, writes Tunis Afrique Presse. 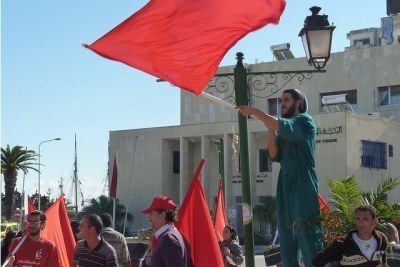 This follows protests that erupted in December 2018 when a 32-year-old journalist set himself on fire in a call for revolt after he expressed his frustration at unemployment and the unfulfilled promises of Tunisia's Arab Spring revolution. 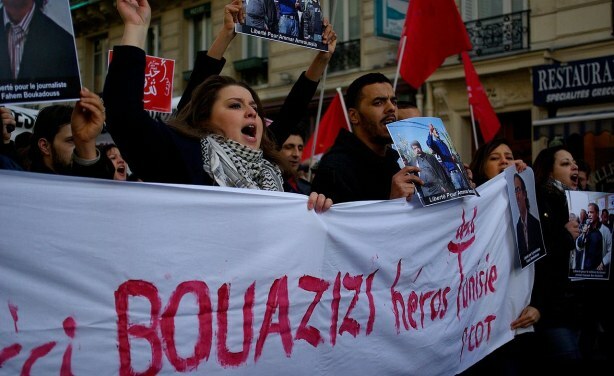 A French protest in support of Mohamed Bouazizi, "Hero of Tunisia" (file photo).